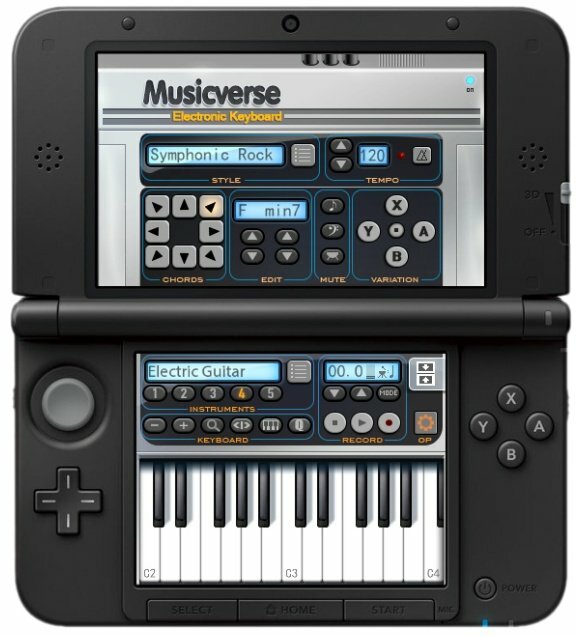 The 3DS eShop has apps to cover various hobbies - for example you can draw, code games in BASIC and, of course, create music. Musicverse: Electronic Keyboard has some competition in the music composition area, but it's keen to make its mark on the portable. Are many of you in Europe tempted to pick this up? This could be fun... but as mentioned, has some stiff competition already on eShop already. Can you recommend the best ones? Preferably kid-friendly. @Splatburst I reckon neither are "kid friendly" since these are music making apps. I own all of KORGs lineup and am quite impressed with "Rhytmik Ultimate". All of them have a difficult entry point, and most people will not learn from the tutorials before they become at ease with them. You might want to keep an eye out for this one when the NL review hits. Thanks. I'll keep those in mind. I have the latest Korg release and it's pretty daunting to learn. I been waiting on a review for this one, seems a lot more accessible. I've wanted to try a game like this or one of KORG's Rhytmik games. I'm very into writing music and would love to be able to do it on my 3DS on the go. Any suggestions or recommendations? @Splatburst I recommend getting your kid a real keyboard, something from the Yamaha PSR or the Casio CTK range. @Shiryu do you have a list? Disregard previous versions of Rhytmic, "Ultimate" lives up to it's name, not just assembling all the previous versions in one product but adding wav export which is terribly handy. These are what I got, I recommend them all. They are no substitute for my laptop of course, but they are handy to make noise on the go. @Shiryu Thank you! Yeah I gave my brother one of the Korg games. I'm gonna look into them later this week. quite busy this weekend. I might consider getting them for myself. @Uberchu CAUTION: they are not games! wonder why an app like this isn't on the wii u yet? @Uberchu I have a feeling the biggest selling point is portability. Plus, if you can carry it in your pocket, it's bound to appeal to chiptunists who use Game Boy s and such in their live acts. @Shiryu you do have a good point, I was just thinking for larger screen usage. I have an old 3DS XL I can use for this I guess. @Uberchu Yep, the bigger the screen to more comfortable to use.